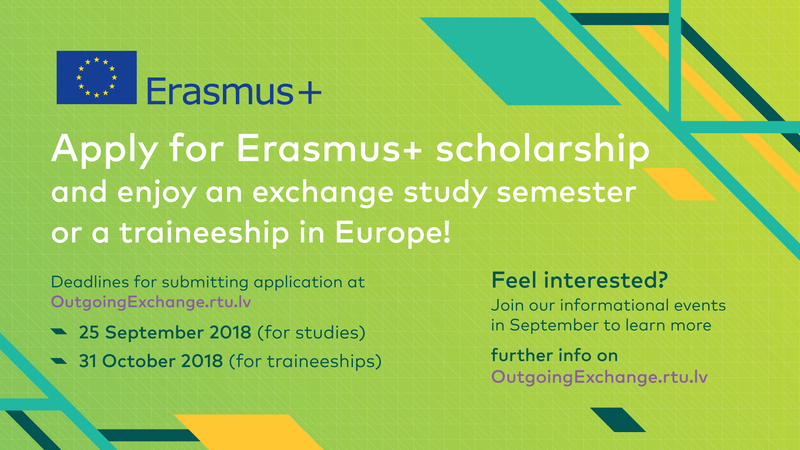 The new application period for the scholarships of the Erasmus+ programme is open. 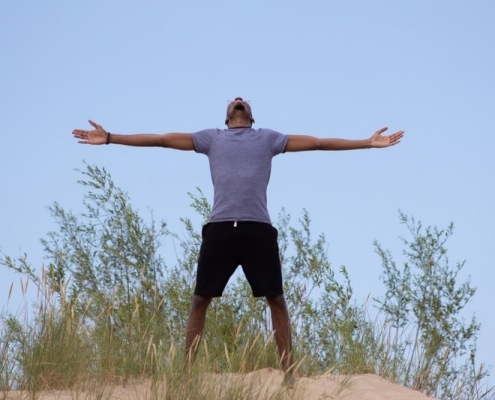 Apply for the Erasmus+ scholarship and enjoy a study or a traineeship period in Europe. 31 October 2018 (for traineeships). Prerequisites for Candidates – Erasmus+ programme is available for all RTU students from all specializations and levels of higher education. To apply for Erasmus+ scholarship, a student has to be registered at least as the 3rd semester student at Bachelor level or the 2nd semester student at Master level. The student must have adequate grades (weighted average grade cannot be lower than 6.0), no academic or financial debts, good knowledge of English, German or another language of the EU Member States, and a well-defined objective for participating in a mobility. To get more information about Erasmus+ programme and to know tips and tricks for successful application and Erasmus mobility, join our informational events in September. For further information visit – “Study mobility”, “Traineeship mobility”, “Erasmus+ partner universities”. Read the provided information! 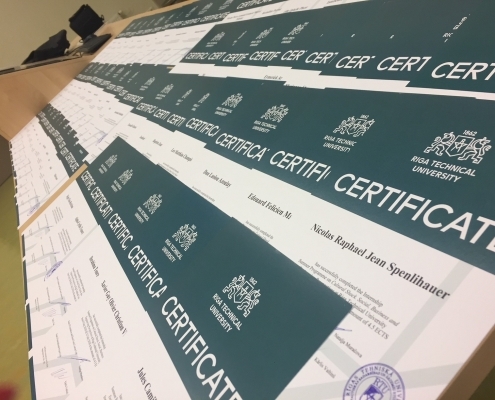 In case of additional questions, contact Ms Inga Riharda via inga.riharda@rtu.lv, +37167089067, +37125739079 (also WhatsApp) or visit us in Kalku 1-302. 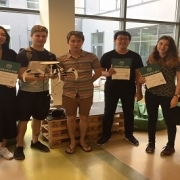 From July 2 to 27, 2018, Riga Technical University (RTU) Foreign Students Foundation and Short-Term Courses Unit organized its 3rd international summer camp “Robotics. 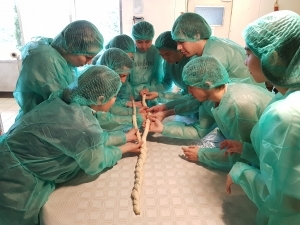 Real-Life Applications of Intelligent Design “, where 27 students from 10 countries – Australia, USA, Mexico, Kazakhstan, China, Moldova, India, Uzbekistan, Azerbaijan and France – perfects practical and theoretical knowledge in robotics, 3D modeling, artificial intelligence and other areas related to the industry. 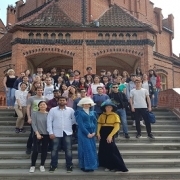 The aim of the summer school is not only to provide international students with high-quality knowledge from RTU faculty members and industry representatives who provide with the necessary theoretical and practical information in developing a functioning robot, but also – to promote a deeper understanding of the Latvian language, culture, history and education. 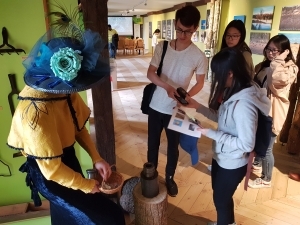 Incorporated activities related to the Latvian language and culture in the summer school program, its organizers hope to enhance the recognition of Latvia abroad and to promote co-operation between RTU and higher education institutions in engineering fields. 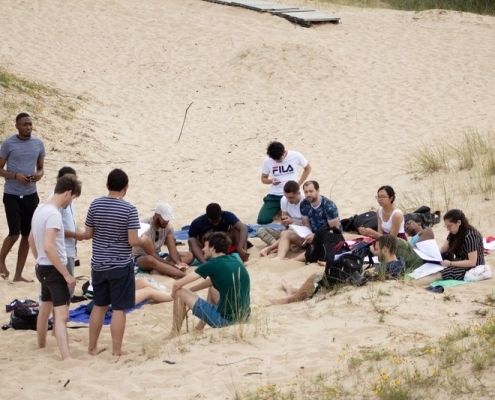 In this context, the organizers of the summer school – the RTU Foreign Students Foundation and Short-Term Course Unit – are grateful to the State Education Development Agency for the financial support provided to 10 students from 7 countries http://viaa.gov.lv/eng/scholarships The Robo Camp Summer School students used the possibilities offered by the RTU Design Factory Laboratory “the LAB” and the “Latvenergo” Creative Laboratory – 3D printing, laser cutting, soldering, etc. 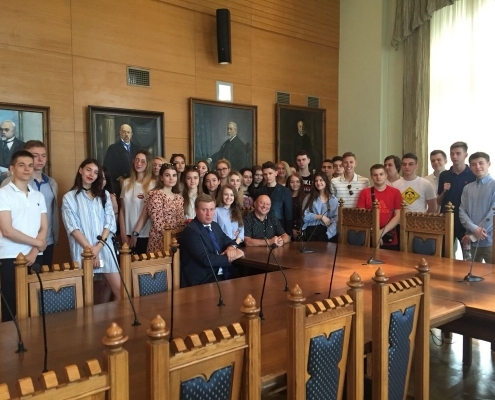 Moreover, the summer school organizers want to express gratitude to the RTU Faculty of Computer Science and Information Technology and robot development company “RobotNest” for providing intellectual and technical support. 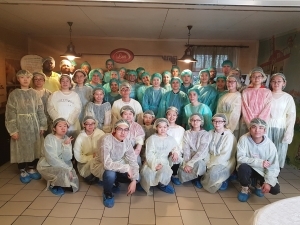 Besides all the activities and practical classes organized students were introduced to Latvian companies representing information technology, mechanics, mechatronics and electronics during the summer school. Robo Camp hosts such companies as HansaMatrix, Mass Portal, Giraffe 360 ​​and SAF Tehnika. http://wpweb-prod.rtu.lv/fsd/wp-content/uploads/sites/65/2018/08/Robo-CaMp.jpg 274 450 sigitasaicane http://wpweb-prod.rtu.lv/fsd/wp-content/uploads/sites/65/2016/10/RTU_horizont_LOGO_eng_PNGsaveForWeb82_t-1.png sigitasaicane2018-08-16 07:23:432018-11-01 13:10:29Summer School "Robotics. 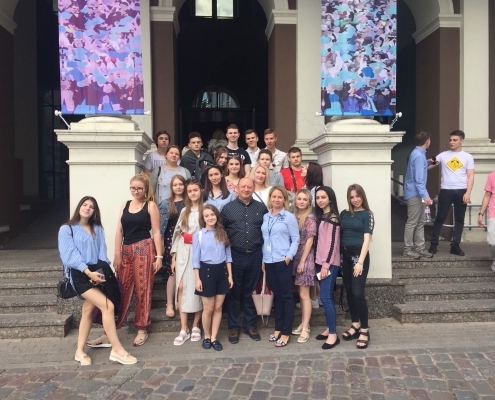 Real-Life Applications of Intelligent Design"
This summer from July 9 to 23, 2018, the Riga Technical University (RTU) organized the summer school “Cultural shock and social innovations”, the scientific program was developed especially for 30 students from the RTU partner higher education institution in France – the EPITA (Computer Science Academy). 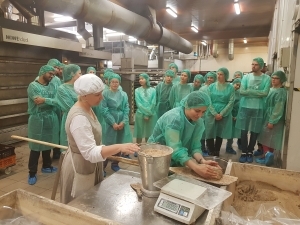 In organizing this Summer School, its organizers – RTU Foreign Students Foundation and Short-Term Courses Unit – upon request of the partner institution, adapted the scientific content of the event to the study profile of the participants. Namely, students were invited, using their computer literacy skills, to develop projects in areas such as cultural change, urban social ecosystems, sustainable and social entrepreneurship. At the same time as lectures and IT-related companies such as Draugiem Group and DATI Grupa, students were offered several discussion evenings where they discussed with their RTU representatives the ideas of their projects and issues related to their development. 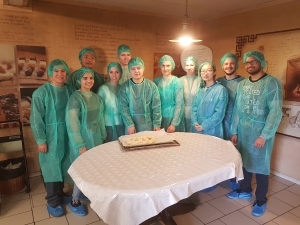 At the end of the summer school, students from France successfully defended their projects under the guidance of an international commission composed of representatives from RTU and its partner universities – Kyungpook National University in Korea, Tirana Polytechnic University of Tirana in Albania and the University of Kadi Ayyad University) in Morocco. 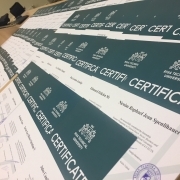 http://wpweb-prod.rtu.lv/fsd/wp-content/uploads/sites/65/2018/08/sertifikati.jpg 1224 1632 sigitasaicane http://wpweb-prod.rtu.lv/fsd/wp-content/uploads/sites/65/2016/10/RTU_horizont_LOGO_eng_PNGsaveForWeb82_t-1.png sigitasaicane2018-08-16 07:12:352018-11-01 13:10:38Summer School "Cultural Shock and Social Innovations"
This year from July 9 to 23, 2018, 33 participants from Russia have visited Riga Technical University (RTU), with the aim of supplementing their knowledge in English and Spanish, social innovation, intercultural communication and international relations. 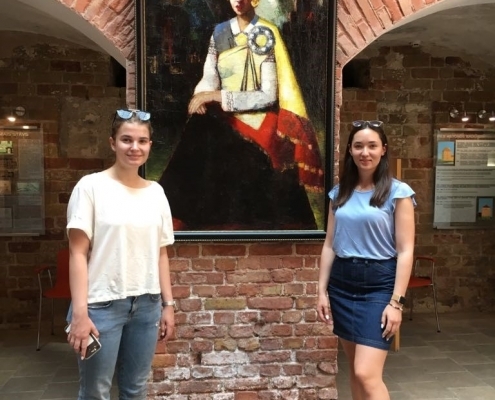 The summer school for Russian students is organized for the fifth time, and this year they had an opportunity to gain a deeper understanding of the activities of various Latvian states and local governmental institutions. 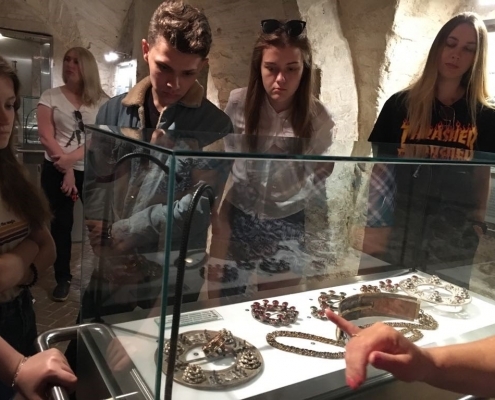 For example, participants visited the Riga City Council, the Ministry of Foreign Affairs of the Republic of Latvia, and the Riga Freeport Authority. The summer school participats apart from attending various events related to Latvian language, culture and history organized by International Students Foundation and Short-Term Programme Unit, also participated in the international football tournament, thus forming international contacts with other RTU summer school participants from France, Australia, Ukraine, Moldova, Meksikas, US etc. http://wpweb-prod.rtu.lv/fsd/wp-content/uploads/sites/65/2018/08/Krievi2.jpg 274 450 sigitasaicane http://wpweb-prod.rtu.lv/fsd/wp-content/uploads/sites/65/2016/10/RTU_horizont_LOGO_eng_PNGsaveForWeb82_t-1.png sigitasaicane2018-08-16 07:02:512018-11-01 13:10:48Summer School "International Relations and Globalization"
RTU International Cooperation and Foreign Students department promotes foreign students interest about Latvian culture and traditions by organizing trips around Latvia. 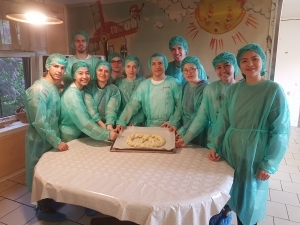 This year students had a chance to get acquainted with ancient bread baking traditions, taste some bread and bake sweet pretzels at the bakery “Lāči”, visit Jaunmoku castle and have some entertaining activities there as well as enjoy the beauty of blooming rhododendrons at the experimental breeding nursery „Babīte”. 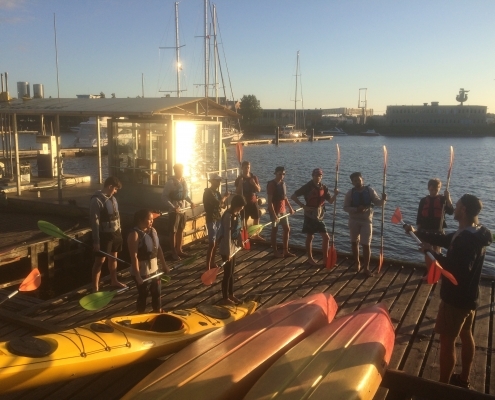 Looking forward to another trip next year! 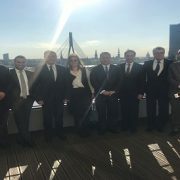 On 9 May 2018, RTU Deputy Rector of International Academic Cooperation and Studies, prof. Igors Tipans, welcomed a delegation of the Egypt-Latvia parliamentary friendship group from the Parliament of Egypt, Ambassador of Latvia to Egypt, Iveta Šulca, and the non-resident Ambassador of Egypt to Latvia, Alaa Hegazy. 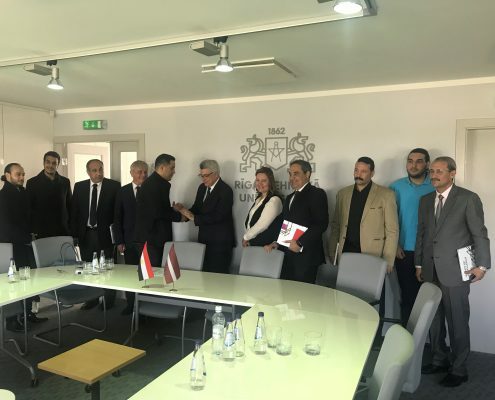 The delegation was introduced to RTU and its activities related to cooperation with higher education institutions in Egypt, as well as had the opportunity to meet with Egyptian full time and exchange students at RTU. On April 19 RTU International Cooperation and Foreign Students department in cooperation with the the Embassy of Japan in Latvia organised a Japanese movie evening with a purpose to promote study possibilities in Japan and deliver an in-depth information regarding scholarships (for implementing both studies and research) provided by the Government of Japan. 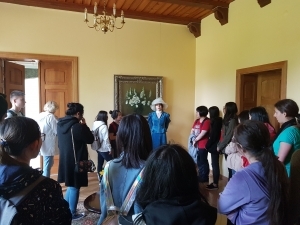 In addition the insight of current cooperation between RTU and the universities in Japan was provided by the professor Mr Igors Tipans -Director of International Cooperation and Foreign Students Department. 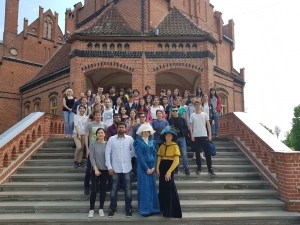 The event was attended by Latvian, Japanese and other foreign students of RTU. 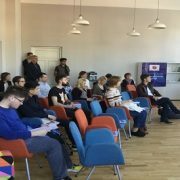 In addition to the overall activities, Riga Technical University staff met with various faculty members of Ogarev Mordovia State University, developed communication about future project proposals as well as met with students of Quality Management to discuss the project issues from a student’s point of view.